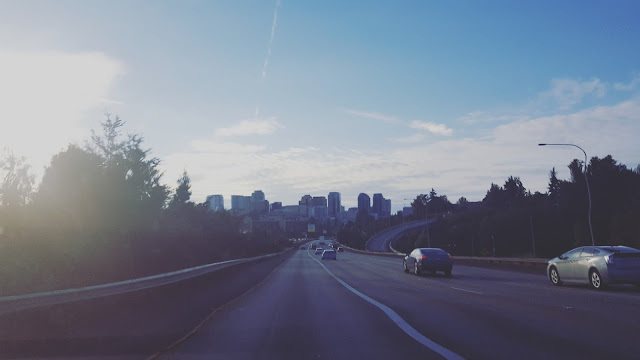 For part two of our Washington trip we went to stay with my best friend Sabrina and her husband Andrew. But, before we headed there we made a wonderful stop to see James aunt and her sweet family! It was a great time and sadly I didn't take one picture while there ... what the heck is wrong with me?! But that is okay we still had a wonderful time visiting. We sat outside and visited for awhile, got a tour of her new home and then ate a delicious dinner that she cooked up for us! Of course her cute little boy helped her cook. 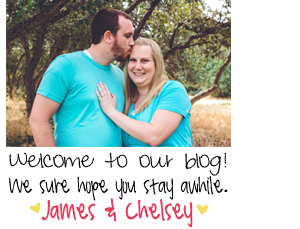 We are looking forward to going back to visit very soon! 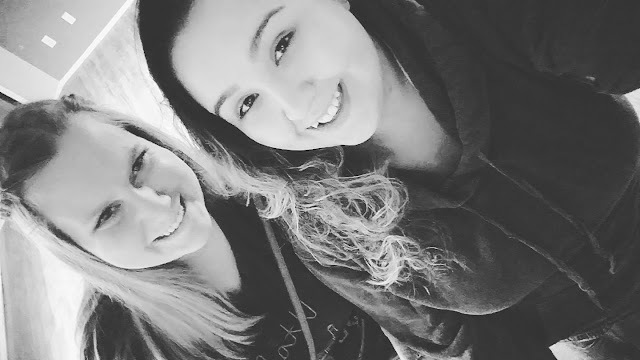 We arrived to Sabrina's house kind of late so we took a quick picture, got comfy and hung out! It was amazing to see her again, I sure did miss her. (And now I do again ...) It is hard sometimes living so far away from your best friend, but hey at least we can visit each other! On Thursday we headed into Seattle. 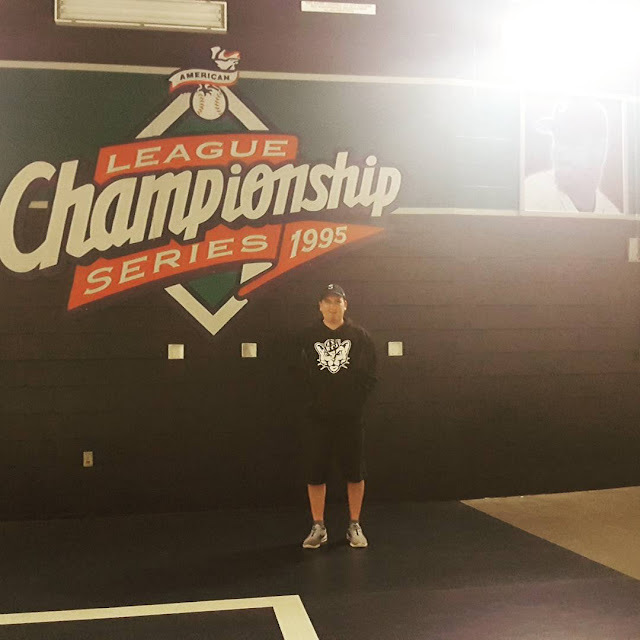 We made James dreams come true. Aren't we such good sports? Ha ha! 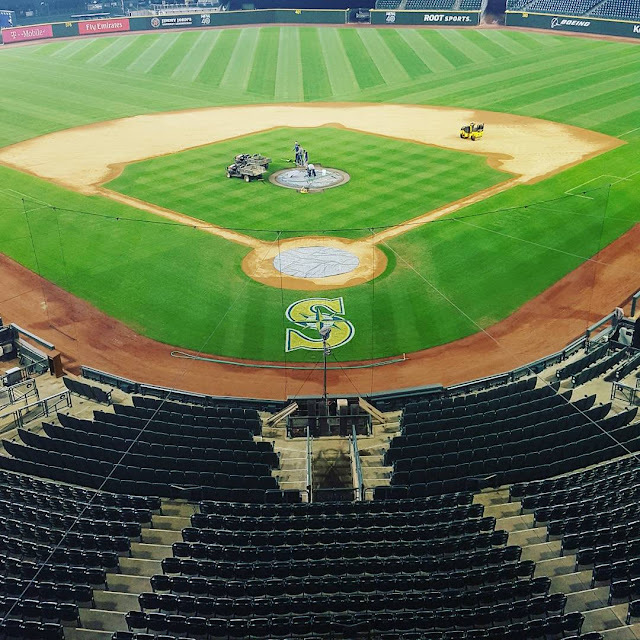 We went and toured Safeco field! It was pretty neat to see everything but, the best part was watching James face light up! He is a cutie pie. Ha! 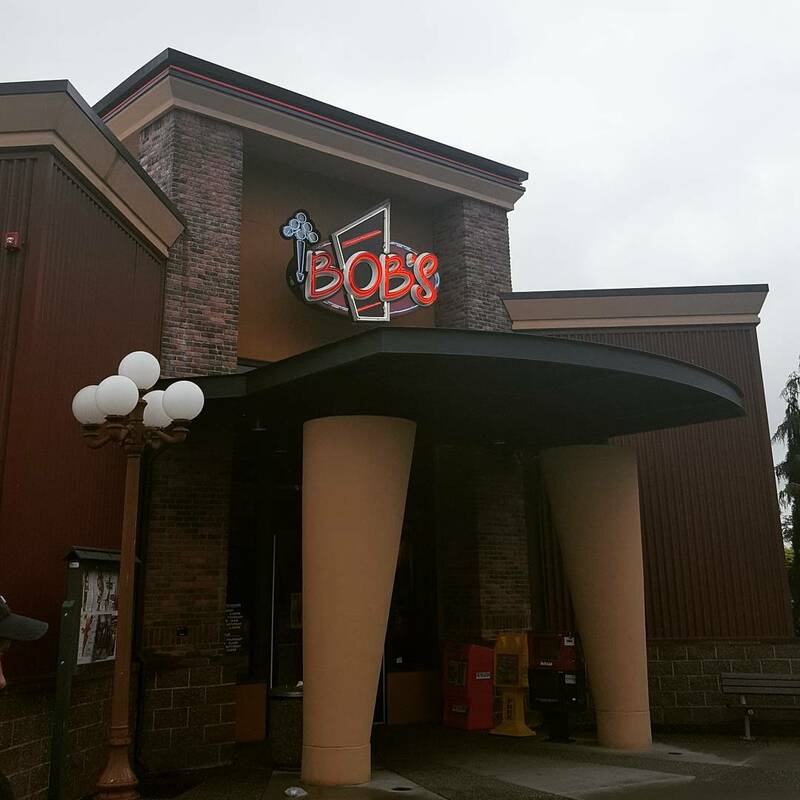 After Safeco we headed back towards Sabrina's home but first made a pit stop at the delicious restaurant Bob's. This place is soo yummy! And James had heard us all talk about it but had never been so we decided it would be fun to show him Bob's! Friday was our girls shopping day! Woo-hoo! First things first we headed off to TARGET! And of course since it's the Washington way we made a pit stop at the Starbucks (inside Target ..) Sabrina introduced me to a yummy drink the Smores Frapp! 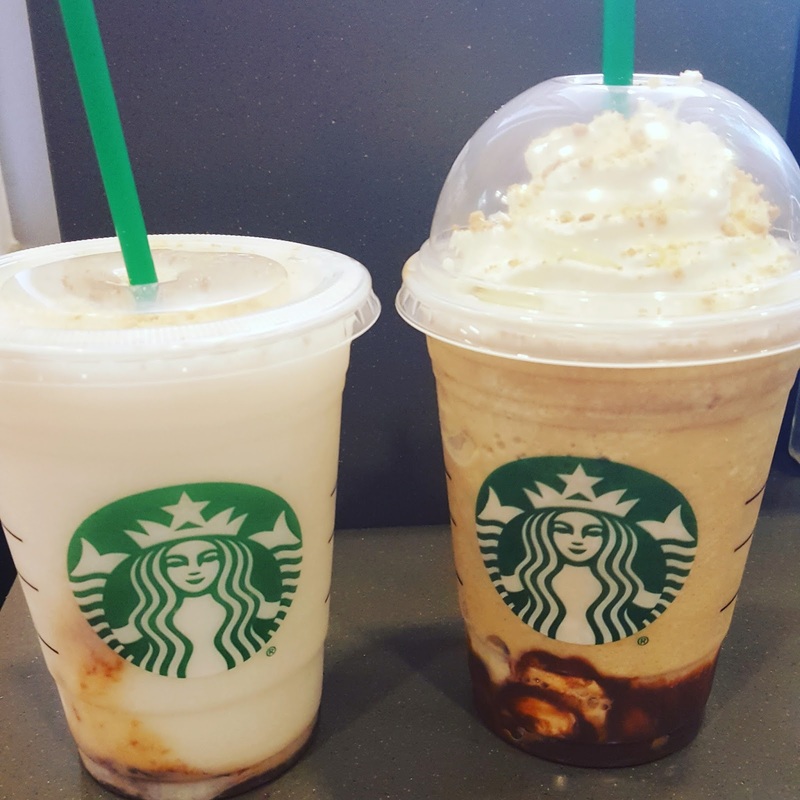 You might be thinking .. they look different .. well they are the same drink just one has milk and coffee and one is dairy free / coffee free haha! It was very good! 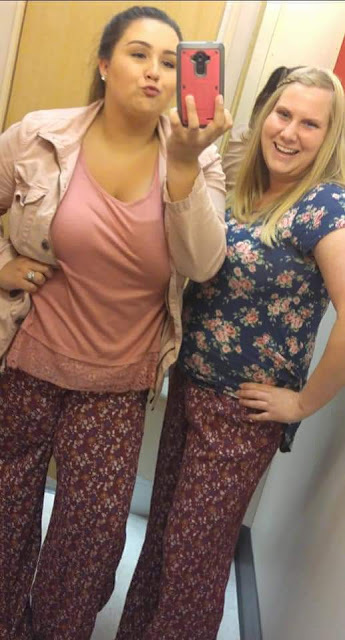 Of course it wouldn't be a successful shopping trip without us trying on goofy pants and taking a picture. Although those pants were pretty comfortable too bad they were a mile long! Saturday was our last day with Sabrina and Andrew. So we made it our official Sims date day .. minus when we stopped to get food and go play mini golf! 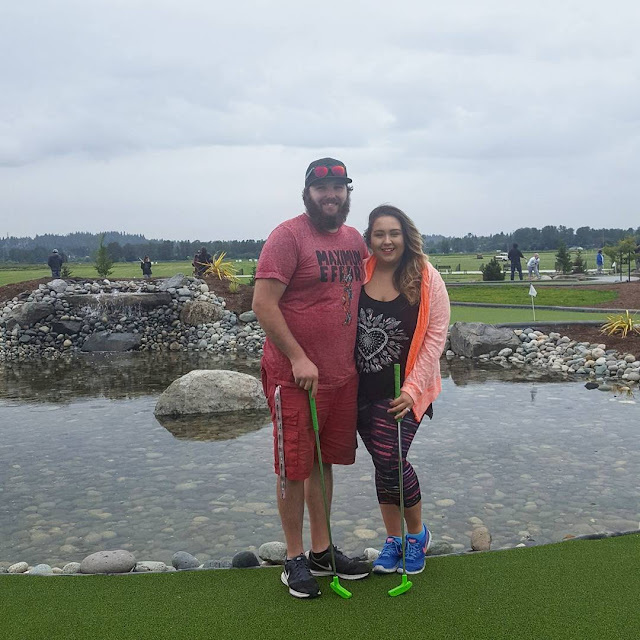 It was such a fun little course and kind of difficult. Plus Andrew and I kept trying to get our balls over rocks. So with that being said ... we lost our balls a lot! ha ha! Especially this one ... 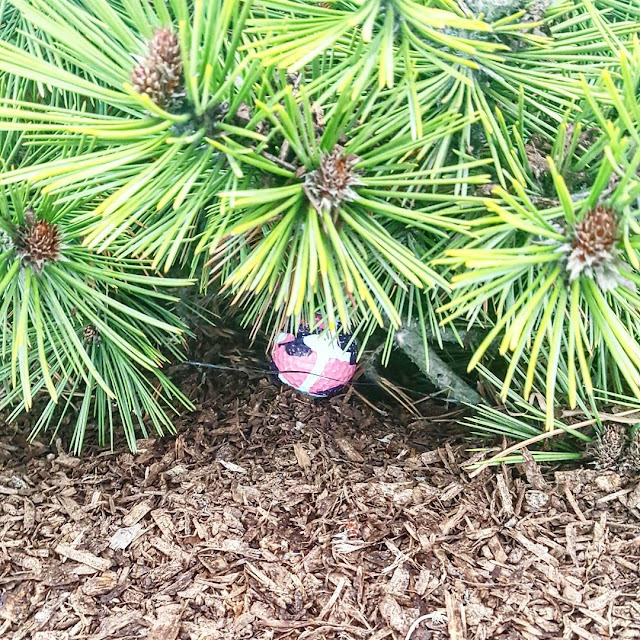 I kept hitting it into bushes and clear out in the grass. Although Andrew did almost hit a few people in the head with his golf ball so I will take that as a win for me. Ha ha! 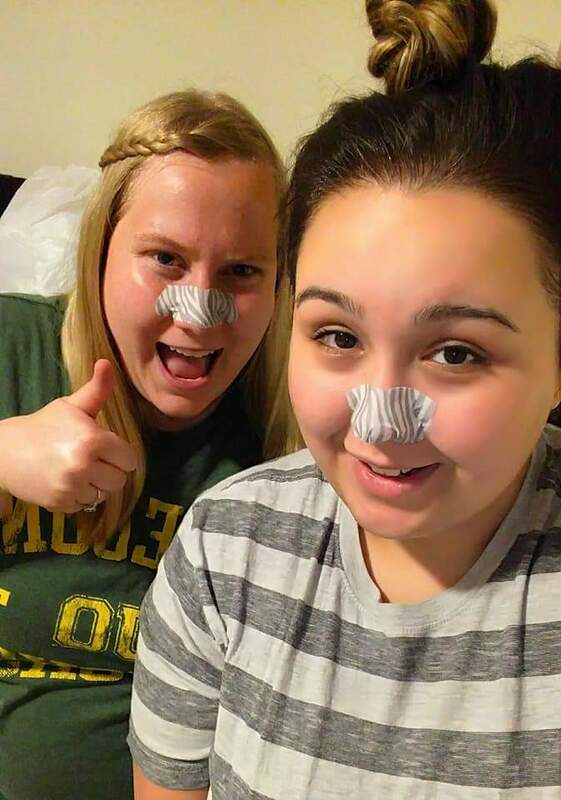 After golfing we headed home to try out some face masks which were a total fail .. so we switched to the blackhead strips. GROSS results but amazing at the same time ha ha. Then we were off to playing more sims, chatting, eating candy and staying up late just like old times! 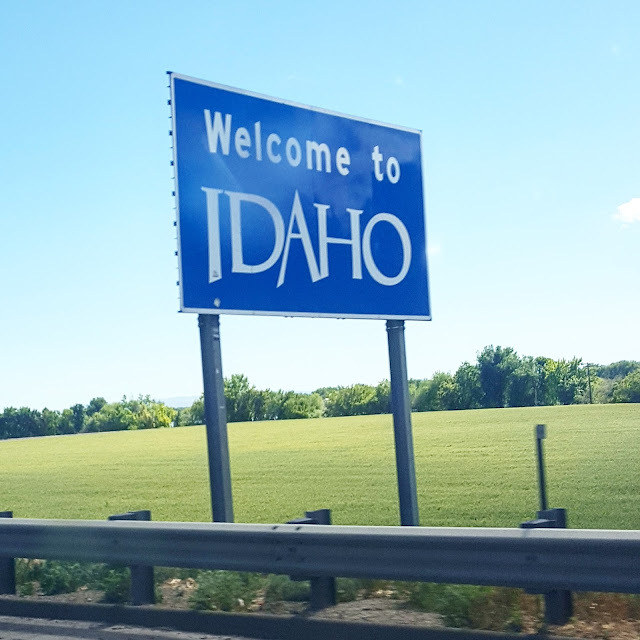 On Sunday we got up pretty early so we could head home back to Idaho! It was sad to say goodbye and we sure did hate having to leave but a little part of us was ready to got home and see our puppy dog and cats and to sleep in our own bed! The drive home was so pretty! If you follow me on Instagram then you already know how pretty it truly was. One of our pit stops was in Eden, Idaho and they have the coolest eating area! I love to stop there because it is so pretty on the inside. 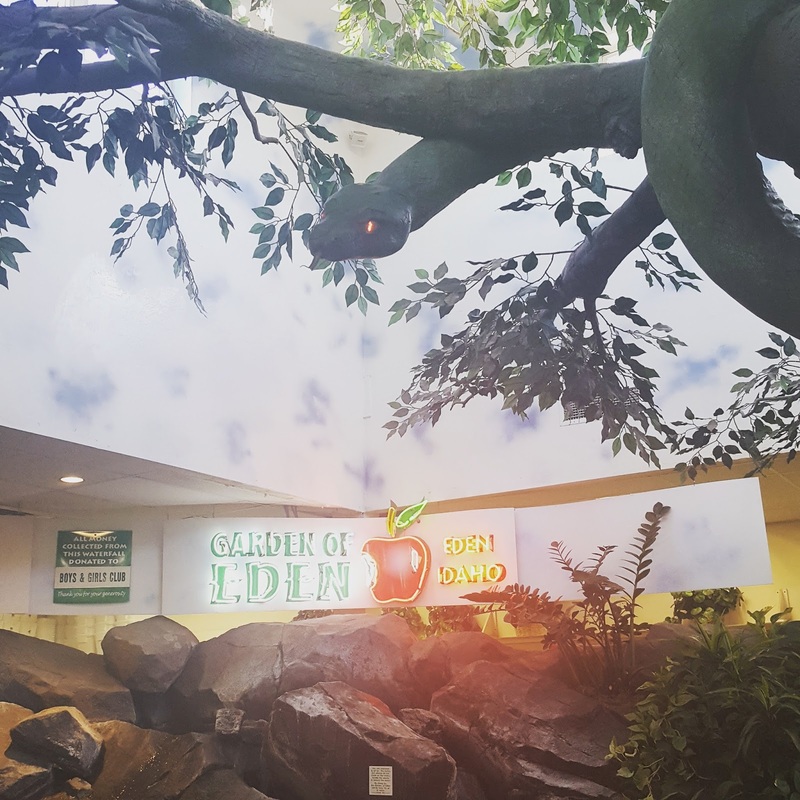 If you're ever there make sure to stop at The Garden of Eden! We feel so blessed to be able to go on such a fun trip and have friends and family to visit and stay with. Until next time ... we will miss you all but we look forward to our next visit very soon!